This is yesterday’s painting that I did when I got home from work around 8:30 pm. I photographed it in natural light this morning, but I still can’t quite get the colour of the painting right in my photo. The yellow touches came out as more orange than they really are. The painting is better in real life. But anyway, I was so happy that it was such a beautiful evening sky last night, because I always get a bit stressed when it is that late in the day and I have not done a painting yet. 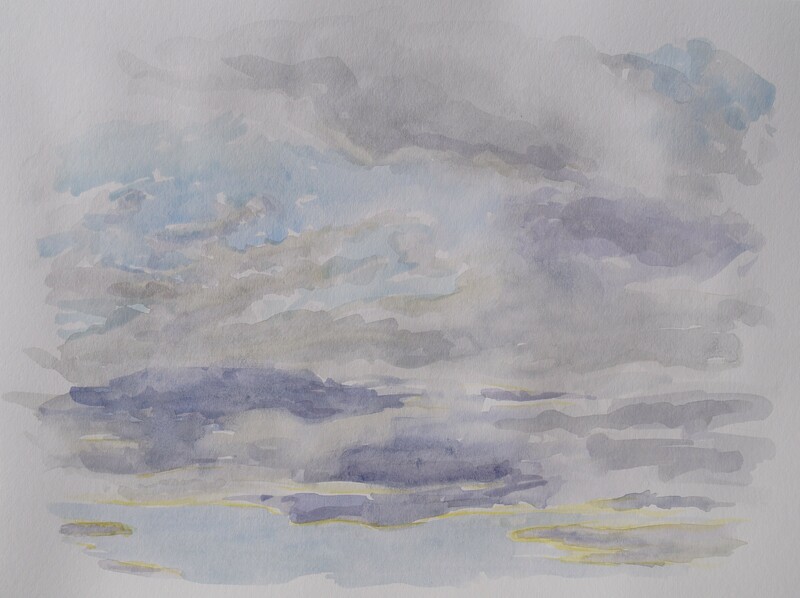 I painted this sitting out on my front steps–I’ve found that is my favourite spot for cloud painting. You did a fabulous job of the clouds. The sky looks like it’s full of movement.